Enter a wet and slippery tub or shower safely and with confidence. 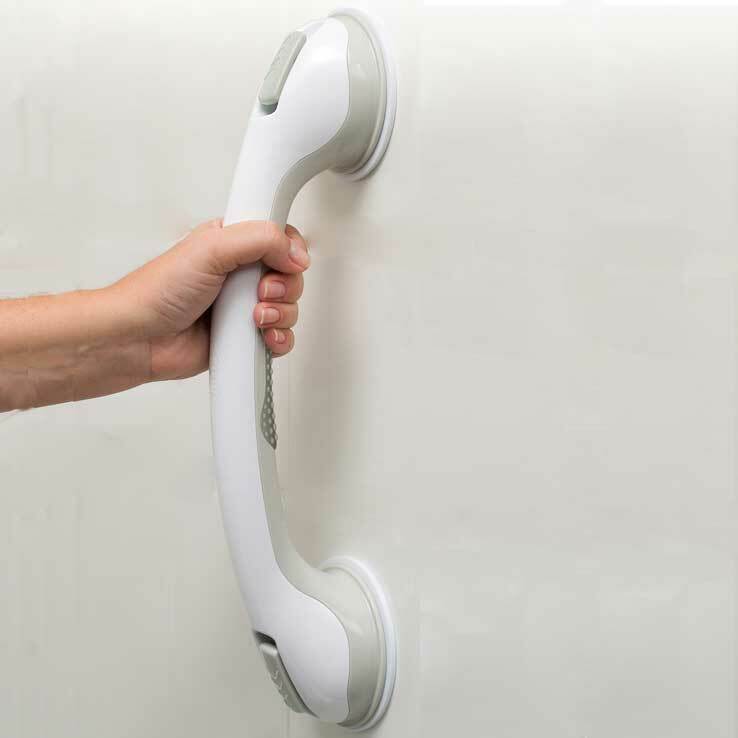 Suction cup design makes it easy to attach, remove or relocate on any smooth, flat, non-porous surface. Flip-up easy release tabs for easy installation and removal.